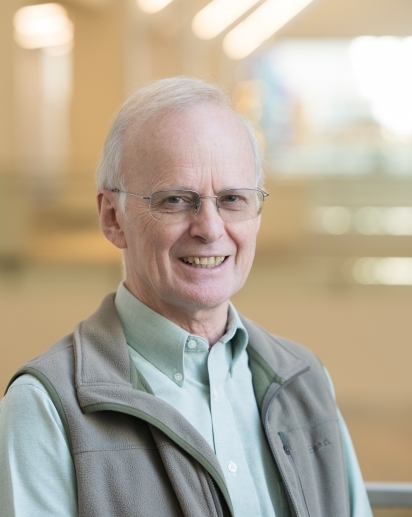 Molecular Therapeutics of Cancer Research projects in Dr. Eastman’s laboratory are focused on preclinical development of novel cancer chemotherapeutic strategies, using novel therapeutic agents often as modulators of the response to established drugs. Cancer cell lines exhibit very variable responses to these strategies, so it is predicted that tumors will also have variable response such that some will be highly sensitive. The goal therefore is to define the mechanisms of sensitivity and develop clinical trials targeted to patients with sensitive tumors. Current studies are directed at understanding how anticancer DNA damaging agents kill cells, and how this can be enhanced. After a potentially lethal insult, cells progress through the cell cycle and arrest in both the S and G2 phase. The arrest permits time for repair such that the cells can recover. Inhibitors of these checkpoints have been developed that overcome arrest, driving the cells through S and G2 and then through a lethal mitosis. We previously performed a clinical trial with the Chk1 inhibitor UCN-01 in combination with cisplatin but the drug exhibited unfavorable pharmacokinetics. We are now focused on a second generation Chk1 inhibitor MK-8776 that is currently in Phase I clinical trials. Recently we observed that inhibition of Chk1 dramatically sensitizes cells to antimetabolites that inhibit DNA synthesis. Stalled replication forks are dependent on Chk1 for stability such that inhibition of Chk1 results in fork collapse, DNA double-strand breaks and cell death. Current experiments are directed to further preclinical development of MK-8776 in combination with the antimetabolites hydroxyurea and gemcitabine with the goal of performing a clinical trial of these combinations. Critical to these clinical trials will be analysis of tumor biopsies to confirm cell cycle perturbation and inhibition of Chk1 at doses that are tolerated by the patient. We have also observed very variable response of tumors in culture, and are investigating the mechanisms of sensitivity so we can predict which tumors are most likely to respond in a clinical trial. Other studies are directed toward enhancing apoptotic cell death of tumors. Of particular interest to cancer is the observation that certain oncogenes and tumor suppressor genes can either enhance or prevent apoptosis. There are many inducers of apoptosis such as anticancer agents, immune signals, and removal of growth factors that activate multiple pathways converging on a final common execution phase. This research program is aimed at understanding these pathways as an approach to identifying novel targets for improving therapeutic outcome. We have shown that the rate of apoptosis induced by anticancer vinca alkaloids (e.g. vinblastine) can be greatly enhanced and accelerated by inhibiting the anti-apoptotic proteins of the Bcl-2 family; the majority of cells die within 4 h. Various leukemia cell lines depend on different members of this family and are therefore sensitized by different inhibitors and strategies. Vinblastine also activates the c-Jun N-terminal kinase (JNK) as a required step in this rapid apoptosis. Current experiments are directed to understanding the role of JNK and identifying other proteins that are essential for apoptosis. In particular, we are interested in small molecule inhibitors of Bcl-2 proteins, and have shown that many activate the endoplasmic reticulum stress response leading to up-regulation of pro-apoptotic Noxa. We are screening samples from leukemia patients for their sensitivity to these drug combinations as a prelude to performing a clinical trial. Dr. Eastman received his B. Tech. from Brunel University, London, in 1972 and his Ph.D. from the Chester Beatty Research Institute, University of London, in 1975. He trained as a postdoctoral research associate at the Medical College of Georgia and the University of Vermont. In 1979, he was appointed research assistant professor at the University of Vermont. In 1983, he took a position as associate professor at the Eppley Institute for Research in Cancer, University of Nebraska Medical Center. In 1989, he joined the faculty at Dartmouth where is has been a Professor since 1992. Synthetic nat- or ent-steroids in as few as five chemical steps from epichlorohydrin. Nat Chem. 2018 Jan;10(1):70-77. doi: 10.1038/nchem.2865. Epub 2017 Sep 25. Cell cycle perturbation induced by gemcitabine in human tumor cells in cell culture, xenografts and bladder cancer patients: implications for clinical trial designs combining gemcitabine with a Chk1 inhibitor. Oncotarget. 2017 Sep 15;8(40):67754-67768. doi: 10.18632/oncotarget.18834. Epub 2017 Jun 28. Stereoselective Synthesis and Biological Evaluation of C1-Epimeric and Desmethyl Monomeric Nuphar Analogues. J Org Chem. 2017 Mar 3;82(5):2648-2655. doi: 10.1021/acs.joc.6b03052. Epub 2017 Feb 15. Microtubule destabilising agents: far more than just antimitotic anticancer drugs. Br J Clin Pharmacol. 2017 Feb;83(2):255-268. doi: 10.1111/bcp.13126. Epub 2016 Oct 18. Improving anticancer drug development begins with cell culture: misinformation perpetrated by the misuse of cytotoxicity assays. Oncotarget. 2017 Jan 31;8(5):8854-8866. doi: 10.18632/oncotarget.12673. BCL2 Inhibitors as Anticancer Drugs: A Plethora of Misleading BH3 Mimetics. Mol Cancer Ther. 2016 Sep;15(9):2011-7. doi: 10.1158/1535-7163.MCT-16-0031. Epub 2016 Aug 17. Critical reanalysis of the methods that discriminate the activity of CDK2 from CDK1. Cell Cycle. 2016 May 2;15(9):1184-8. doi: 10.1080/15384101.2016.1160983. Epub 2016 Mar 17. Rapid induction of apoptosis in chronic lymphocytic leukemia cells by the microtubule disrupting agent BNC105. Cancer Biol Ther. 2016;17(3):291-9. doi: 10.1080/15384047.2016.1139245. Epub 2016 Jan 30. A subset of cancer cell lines is acutely sensitive to the Chk1 inhibitor MK-8776 as monotherapy due to CDK2 activation in S phase. Oncotarget. 2016 Jan 12;7(2):1380-94. doi: 10.18632/oncotarget.6364. Will targeting Chk1 have a role in the future of cancer therapy? J Clin Oncol. 2015 Mar 20;33(9):1075-7. doi: 10.1200/JCO.2014.60.0767. Epub 2015 Feb 17.